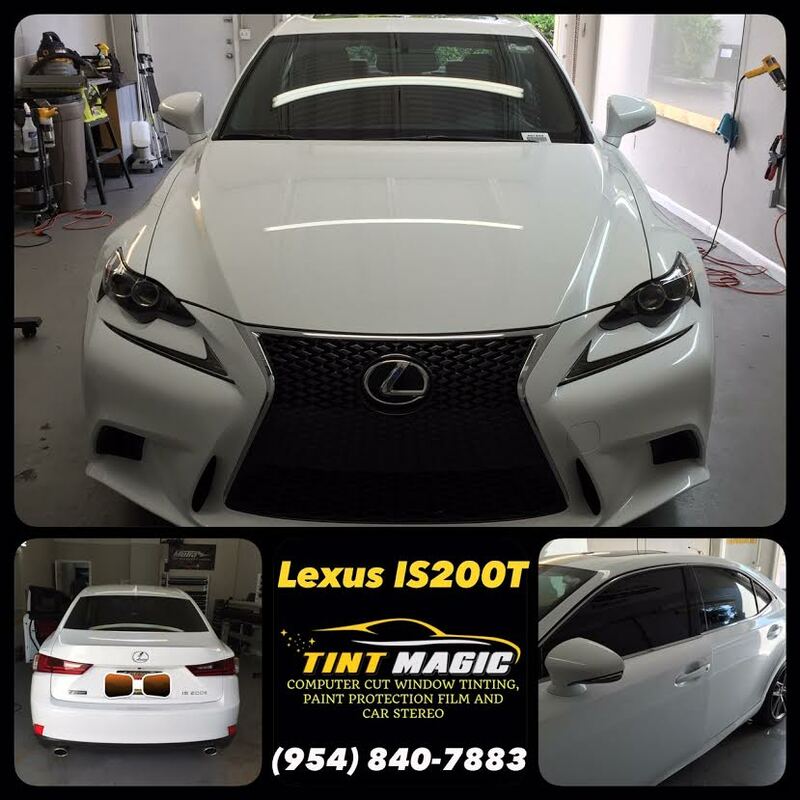 Lexus IS200T at Tint Magic Window Tinting Coral Springs. Call us for the best quality and service! (954) 840-7883. After two years of selling the current-generation IS sedan with a strange, underpowered 2.5-liter V-6 engine (in addition to the optional and way better 3.5-liter V-6), Lexus has wised up and replaced the base engine with a new, turbocharged four-cylinder from the NX200T. The newly created IS200t brings Lexus’s IS lineup in line with pretty much every single one of its competitors, from the Audi A4 toBMW’s 3 series to the Mercedes Benz C Class, all of which come standard with turbocharged fours. Additionally, Lexus also is introducing a third engine to the 2016 IS portfolio, a de-tuned version of the IS350’s 3.5-liter V-6 that’s only available paired with all-wheel drive in the newly christened IS300. The real news, of course, centers around the IS200t and its new turbocharged 2.0-liter engine. A modified version of the turbo four that powers Lexus’s new NX crossover, the engine makes slightly more power here, with 241 horses and 258 lb-ft of torque on tap. Like the NX’s engine, the IS200t’s can run on either the Otto combustion cycle or the leaner Atkinson cycle for better fuel economy, thanks to Toyota’s specially tuned variable valve timing. The incorporation of Toyota’s D-4ST port- and direct- fuel-injection solution should help fuel economy—EPA ratings are not out yet—and this makes the IS200t one of the first Toyota- or Lexus-branded products in the U.S. to feature the technology. Lexus’s output figures for the IS200t place it smack in the middle of the entry-luxury field’s four-cylinder turbo landscape, beating the turbo fours in the Audi A4 and the BMW 328i, and exactly matching the Mercedes-Benz C300’s 241. The Cadillac’s optional 2.0-liter turbo and its 272 horsepower and 295 lb-ft have the Lexus beat, however. Critically, the IS200t’s output easily eclipses that of the now-dead IS250’s 2.5-liter V-6, which produced a wimpy 204 horsepower and 185 lb-ft of torque. While the all-wheel-drive IS300 and IS350 cars continue to use a six-speed automatic transmission, the IS200t joins the rear-drive IS350 in offering an eight-speed automatic.